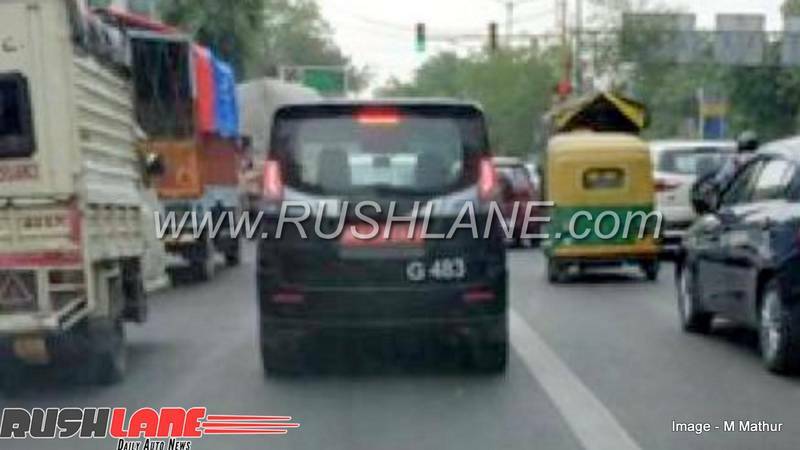 All new Maruti WagonR 7 seater MPV is currently being tested int he guise of Suzuki Solio, codenamed G483. Hat tip to automotive enthusiast Mr Mathur for sharing these exclusive spy photos on Rushlane Spylane. Newest version of Maruti Suzuki’s popular WagonR hatchback is a 7-seater MPV that is being tested on Indian roads. Spyshots have revealed quite a few details about its exteriors and interiors. The bigger 7-seater variant of WagonR is already available in the Japanese market, where it’s marketed as Suzuki Solio. However, Maruti Suzuki has not made any official announcements about Solio’s launch in India. New gen WagonR has been developed on the innovative HEARTECT platform, which can already be seen in new generation Swift, DZire and Ertiga. Being lighter and stronger, HEARTECT platform offers improved mileage and safety. It complies with crash test norms defined under Bharat NCAP. 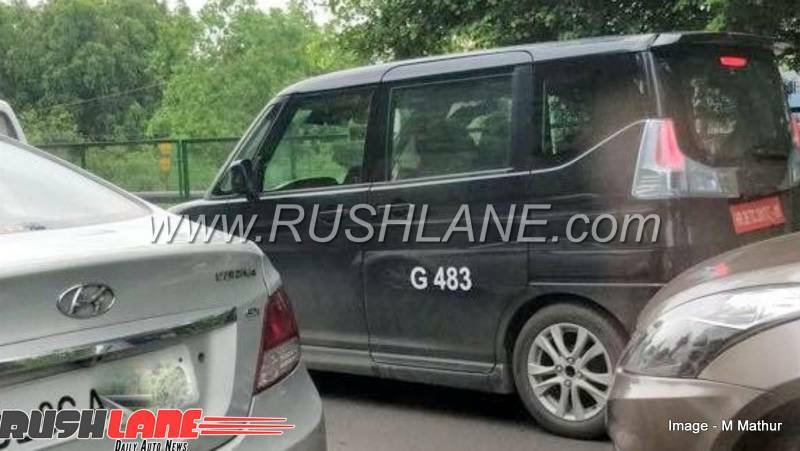 It is spied wearing G483 codename recently in Gurugram near company plant. Maruti Suzuki’s new 7-seater WagonR MPV has the usual box-like design, which provides more leg room and space to passengers. Squared headlamps, chrome slat grille, a prominent air dam and a large bumper can be seen on the front. In international markets, Solio is available in white, red, grey, silver, blue, beige and brown colour options. Interiors are built for comfort, as there’s more head and leg room for all passengers. Solio can accommodate 7 passengers, but the optimal usage in terms of comfort would be 5 adults. Key features include auto steering, keyless entry, reverse parking sensors, AUX and USB, a 2 DIN system with Bluetooth and a touchscreen infotainment system. High-end features include automatic climate control, power windows, and electrically adjustable ORVMs along with reverse parking camera. Safety features include dual air bags, ABS, EBD, and ISOFIX child seat mounts. Existing WagonR is powered by a 1-litre petrol engine that delivers 67 bhp power and 90 Nm torque. It is mated to a 5 speed manual transmission and AMT unit. The international version of Solio has a 1.2-litre petrol engine with mild hybrid technology, which delivers 91PS and 118Nm. It is expected that new WagonR will have an upgraded version of the existing WagonR engine that will boost performance and offer mileage of 18-19 kmpl. If launched in India, the Solio based new WagonR 7 seater MPV will be positioned below the Ertiga, and above the Omni and Eeco. There won’t be any tough competition since there’s only Datsun Go+ in the budget MPV segment in India. Future competitors may include the upcoming Renault Kwid MPV that is currently being tested in India.